OJOplus gives you money back on every bet! Have you heard of the exclusive OJOplus? 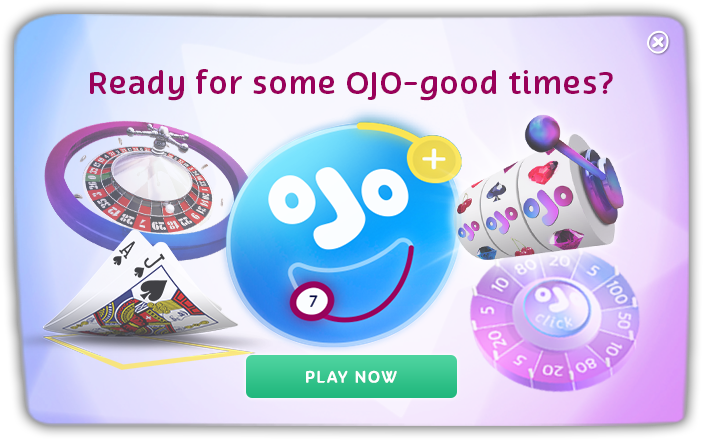 OJOplus is OJO’s way of giving players more. OJOplus gives you free money back on every bet you make, win or lose. The free money goes into your OJOplus account which is separate from your real money balance, so you can play it, withdraw it or let those numbers build up. There are no restrictions when it comes to OJOplus, any player can earn free money on any game. It’s free money that’s all yours to do what you like with. With every bet, a little chunk of free money goes into your OJOplus balance. OJO has paid out over £1.5 million in free money since launching in February 2017. The payout structure varies from game to game. OJOplus payouts are dynamic and can change from time to time so always be sure to check the money back return on your slot picks. You can find a table on the free money payouts right here. PlayOJO is the only online casino that gives you free money back on every bet. The extra free money also pushes the return to player percentage up so the game RTP is more favorable at PlayOJO.com. THERE’S £70K WORTH OF CARNIVAL PRIZES TO BE WON! OJO OFFERS JANUARY-BORN BRITS THE CHANCE FOR A CELEB TO ATTEND THEIR BIRTHDAY PARTY!